Narragansett Bay in Rhode Island is comprised of several small islands. 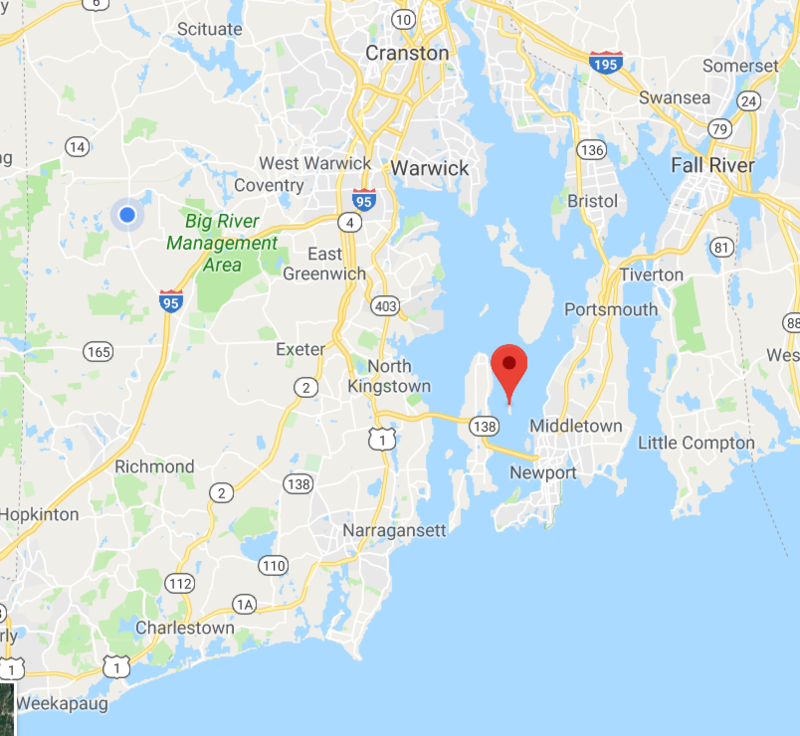 Some are inhabited by people, like Aquidneck Island, where Newport is, and Prudence Island, where there are houses and not much else. You can take a bridge to get to Aquidneck and hang out in Newport, however only a ferry will take people to Prudence. I’ve been to Newport a zillion times, but just north of Newport is a tiny island called Gould Island. This island is not currently inhabited by humans. At least none that I can see. I have a very elaborate fantasy about humans thriving in an underground lair beneath the top soil on Gould. I’ve sailed by this island hundreds of times. It’s just north of the Newport Bridge, and I consider a crossing under that bridge to be my gateway to a great sailing or scuba adventure. There are abandoned buildings on Gould, and the brambles have grown into a think and unpassable ground cover all over the island, blocking all the paths you could take into the center of the island. During World Wars I and II the island was used as an installation by the US Navy. Just across the water on the Newport side is the Naval Underwater War College, and that’s where submariners learn how to captain those ships. During the Second World War sea planes used to take off from the southern tip of the island and patrol in search of German U boats. One of the sea planes managed to shoot one and sink it off the coast of Block Island. (It remains there today, and is a very popular scuba diving destination.) The sea planes took off and landed from the island prior to the massive Newport bridge being built in 1969. This is what it looked like back in WW2. 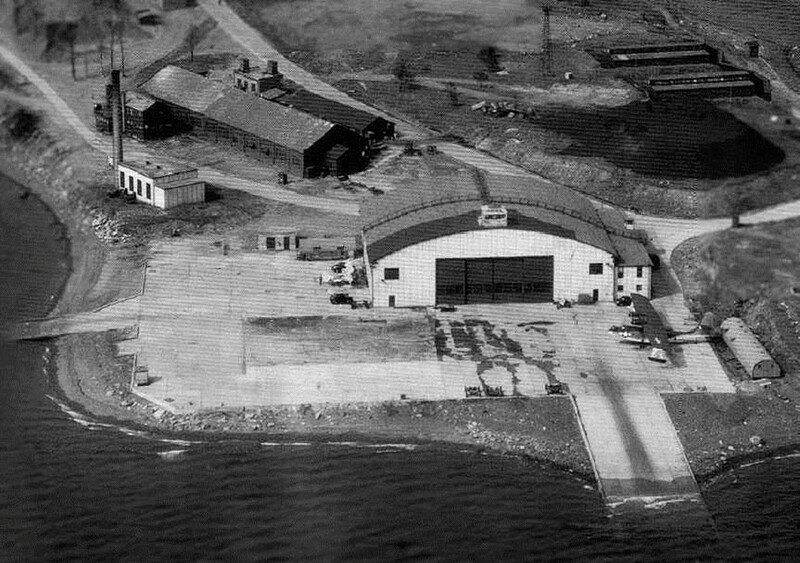 The hangar is on the southern end of the island. The first time I went ashore here I walked across the foundation of the hangar. Beyond that the underbrush was way too thick to pass. We were unable to get more than a few feet beyond the hangar. The second time we went to the smoke stack on the left, and into that building. As we were near the smoke stack we weren't able to even see the long building near it, that's how thick the trees and vines are on this island now. The hangar is where the seaplanes were stored during World War II. The northern tip of the island has my imagination working overtime. In the water just off the north end of the island are yellow buoys labeled A, B, C, D, E, F, and G. Normally navigation buoys are red and green, so the first time I saw these yellow balls in the water I checked the chart as we sailed by. (Sailors call their maps charts. But really, it’s a map. And that map shows me where the land is, where the water is, how deep the water is, and where the navigation buoys are.) The yellow balls marked off an area labeled “Torpedo testing area. Do not anchor.” Well, that would make sense. It would be disastrous to drop an anchor right on top of an unexploded torpedo laying on the ocean floor. 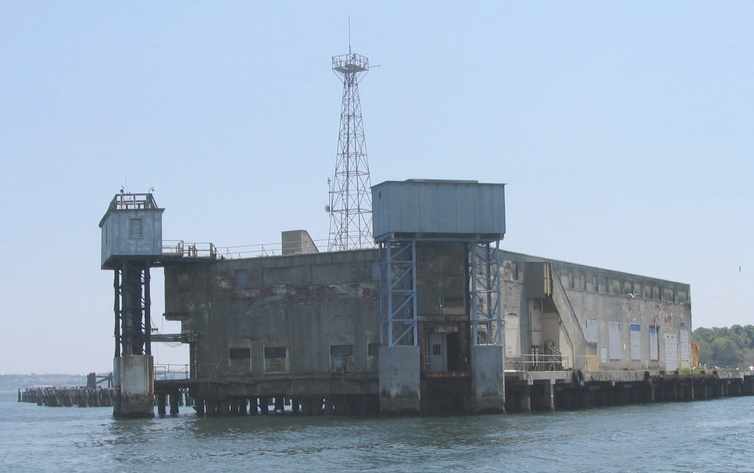 I looked up at the decrepit building facing north, toward the torpedo testing range. There was a tower with an observation deck. I learned with a google search that the Navy used to test torpedoes there, and used the yellow buoys to see how far they went. At night there is a security light over the door on the side of the run down building. Sometimes I can hear the soft hum of an air conditioning unit. Why are they air conditioning an abandoned building? Why is there a light on over the door? I have since concocted this elaborate fantasy about the goings on at Gould Island. Do you remember that 80s movie Spies Like Us, with Chevy Chase and Dan Akroyd? There was a part in the movie where they went to an abandoned drive in movie theater. One guy asked another if he wanted a Pepsi at the run down concession stand. 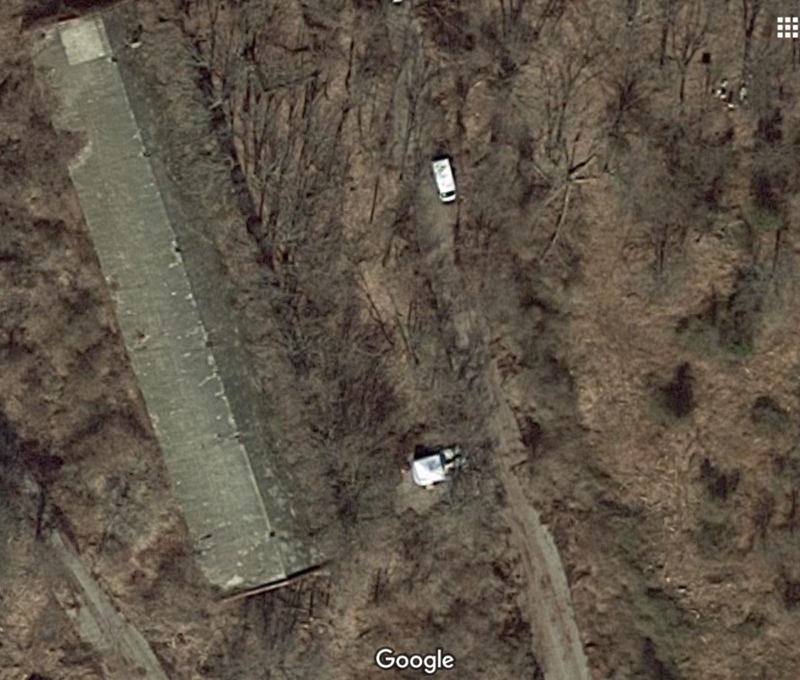 When they pushed the button for the Pepsi, the floor dropped beneath them and they were taken deep underground into a command center where nuclear bombs from the USSR could be deflected while in flight using laser beams that originated at this old drive in. Every time I sail past the run down building on the north side I wonder what’s inside and whether some elaborate command center with state of the art computers and communication devices are lined up on workstations inside. Is there an underground bunker where we’ll hide the President in the event of a nuclear attack? What is inside this building? It could be anything. We anchored the Under Achiever, the boat we use for scuba, near the building and wandered underwater through the run-down pylons that used to make up a dock—this area is a popular spear fishing spot for scuba divers. When we surfaced I asked Todd whether he wanted to explore the island. We were still in our wetsuits as we stepped off the boat on the south side of the island, on to the tarmac where the seaplanes used to take off and land. We stepped over the foundation from where their hangar once was. Then the brush was way too thick and unpassable. We tried to commando crawl on our bellies under the prickers, still in our wetsuits, and were unable to travel more than a few feet into the dense thickets. Years later we tried again. On the southwest side of the island is a tall chimney. We walked around the edge of the island until we got close to the chimney, and then fought our way in. We managed to walk into a boiler room, and saw the old cast iron boilers still in place. According to the Google Earth satellite view there was another building maybe 15 feet from where we stood in the boiler room, but the brush was so thick we couldn’t see it. This is the boiler room, the building you can see near the smokestack in the first photo above. This summer while we were on vacation we went parasailing out of Newport. We asked the boat captain to bring us close to Gould so we could see the island from above. I noticed that there looked like a clear path from the east side of the island, which is where we will try to penetrate the island next time. The south side of the island, where the rest of the old abandoned barracks and the boiler room are, belongs to the state of Rhode Island and has been declared a bird sanctuary. Every so often I check the satellite view of Gould Island and let my imagination wander. And now I wonder why there are trucks driving around in the bird sanctuary.